Network Rail has chosen an additional alternative railway route to the storm-stricken Dawlish line along the Devon coast, BBC News can reveal. The route would head from Okehampton to Plymouth via Tavistock and go through parts of Dartmoor National Park. 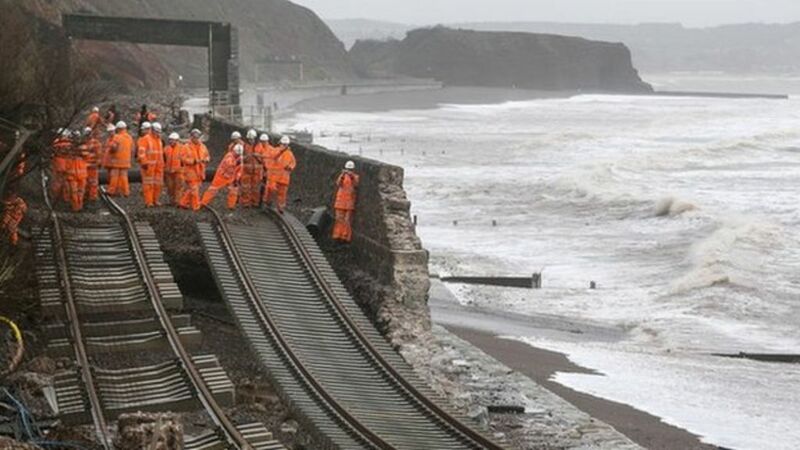 Network Rail chooses an alternative railway route to the storm-stricken Dawlish line, BBC News can reveal.